Environmental Compliance keeps our environment – and ourselves – safe from a variety of pollutants, toxins and hazardous waste commonly found in labs, classrooms and even our homes. Following rainfall, stormwater runoff can pick up pollutants on the ground – such as oil, grease, human and animal waste and toxic materials – and carry them into our lakes streams and rivers, either directly or through the storm sewers. That’s why it’s important that we carefully dispose of those substances and, most importantly, never pour them down a storm drain. Stormwater basics – Learn about how stormwater affects our water supply and what you can do to help. Stormwater basics for businesses and restaurants – Here’s what business owners and restaurant operators need to know about stormwater management. Protect the university community and the environment from the dangers of improper handling and disposal of hazardous waste by ensuring compliance with federal, state and local regulations. These resources will help you learn how to set up a safe accumulation area, respond to an emergency and request pickup of hazardous waste. How Do I Dispose of This Waste? Ready for waste pick up? Environmental Health & Safety can help you safely remove hazardous waste. Need a quick tutorial on how to request a pick-up? We are currently phasing out the use of EHS Assistant for requesting hazardous waste pick-ups. Please use the link below to submit a hazardous waste pick-up request. Label as "Universal Waste-Mercury Containing Lamps"
Label as "Universal Waste- Mercury Containing Devices"
Pesticides are also disposed of as universal waste. If you have pesticides you need to get rid of, please contact EH&S directly at ext. 2622. 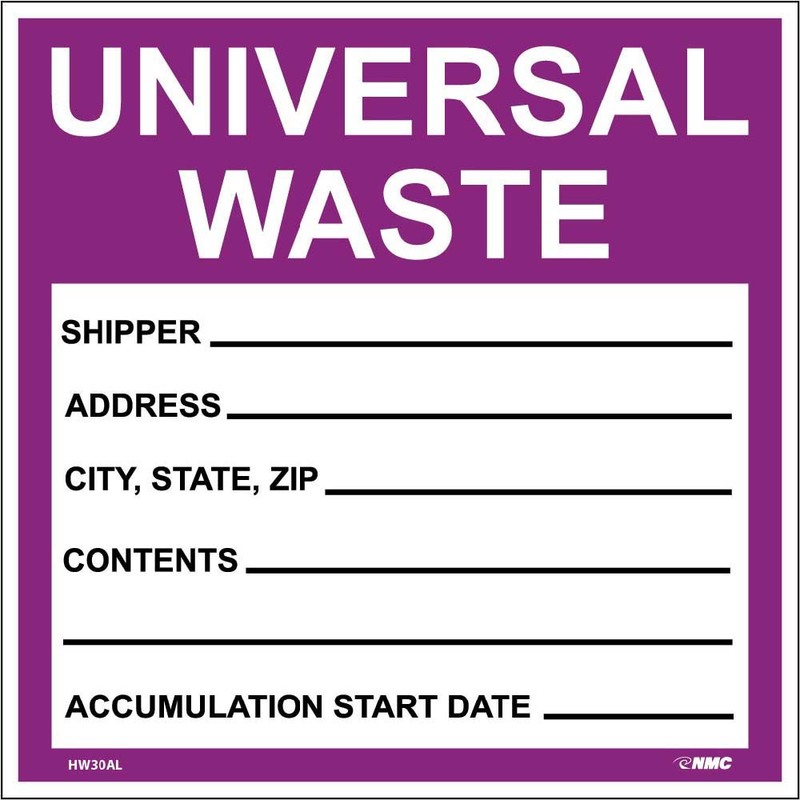 The words "Universal Waste _____"